Yani Tseng: You're No. 1! Now what? Ascending to the top of the world rankings is one thing. Finding the will to stay there is quite another. Ask Yani Tseng. Yani Tseng kisses the trophy after winning the Women's British Open in 2011. In 2012, Yani Tseng had three wins before the end of March and a white-knuckle grip on the No. 1 spot in the world rankings. But in June she had a poor U.S. Open and the next month a mediocre British Open. She could feel something was not right. That fall, she was in her house at the swanky Lake Nona Golf & Country Club, a house she had bought from Annika Sorenstam. The Taiwanese golfer sent an English text to the retired Swedish legend, asking if she could come over for some advice. Of course. Yani walked across the 16th fairway to Annika's new house. Her heart was pounding. She didn't know if she could tell Annika the whole truth, that deep within her she could feel something slipping away. Annika was in the kitchen, her two children playing nearby. The No. 1 and the former No. 1 sat down. Yani asked, "What do you play for when you're already No. 1?" This whole concept of No. 1 - the whole formulaic ranking of players - is antithetical to golf. The lists are the inventions of marketing departments, and the truth is, money earned and titles won (to say nothing of far more intangible things) tell us all we need to know. In the Arnold-Jack-Gary era, there were no rankings, and people knew who to watch. But Yani grew up with the ranking system. Early in her career, she approached Annika and asked earnestly, "What do I need to do to become No. 1?" And Annika gave her a practical answer, rooted in identifying statistical weaknesses. Now Yani was asking a different and deeper question: What motivates you when you're already on top? "You just keep trying to be No. 1," Annika answered, as Yani remembers it. You keep doing what you did to get there, except you do it better. Had Tiger Woods been there, he surely would have nodded in agreement. But those words didn't really register with Yani. She walked back to her big empty house, where her assembled trophies barely made a dent in the display cases she inherited from Annika. In 2008, as a 19-year-old LPGA rookie, Yani won the LPGA Championship. 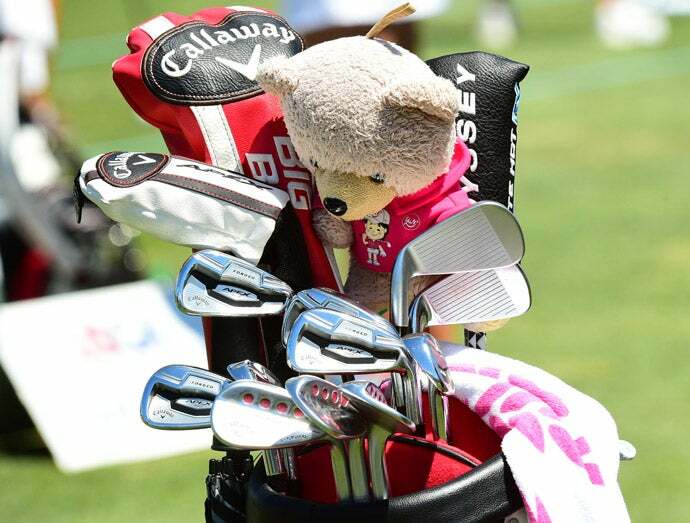 The next year, she won her second LPGA event. In 2010 she won three times, then seven times the following year. In 2012 she claimed three victories before April Fool's Day. Since then, nothing. Meanwhile, LPGA tournaments have been won by teenagers (Lydia Ko and Lexi Thompson), by veterans (Karrie Webb and Suzann Pettersen) and most especially by Inbee Park, who won six times last year alone. Inbee's the new No. 1. "Last year was like, Inbee wins again, Inbee wins again, Inbee makes another putt, Inbee makes another putt," Yani said the other day. We had been sitting for nearly two hours in an empty dining room in the Lake Nona clubhouse. "Maybe that's how people used to talk about me." "There's nothing wrong with her physically. There's nothing wrong with her swing or her putting. But she said she often feels nothing but stress on the course. Yani has a broad, expressive face, and she speaks superb, expressive English. She has a good group of friends, on Tour and in Taiwan. A friend there told her that her clubs used to look like an artist's paintbrush in her hands, but now they look like a farmer's tool. Yani feels that herself. She's 25 now. Her parents, brother and sister live on the other side of the world. She said she does not have a significant other. She knows something about David Duval's career: how he became the No. 1 player in the world, how he won the British Open in 2001, how he hasn't won since his glorious week at Royal Lytham. He started asking himself, "Is this all there is?" Yani grew up as a practicing Buddhist, and when she visited her parents for a month last year she went to temple with them, chiefly "so they wouldn't worry," she told me. She was wearing a delicate silver bracelet on her left wrist with a tiny crucifix on it that she bought this year in Hawaii. Last year, she started to attend LPGA Bible study meetings with her friend Katherine Hull-Kirk, the veteran Australian pro. She's exploring her spiritual life. "I like the feeling that I'm praying for other golfers and they're praying for me," she said. The underlying message was as plain as day and a thousand years old: It's lonely on top. She talked about her desire to win tournaments again, for the platform. "I want to share my story," she said. Share is a word that comes up often with her. She seemed content, for whatever that's worth, sitting there in the vacant Lake Nona dining room, talking about her frustration and her search. Is there a ranking system that measures happiness?